Sierra Nevada Brewing Co. and Ninkasi Brewing are teaming up for an exclusive beer dinner at The Woodsman Tavern in Southeast Portland. This partnership is more than just this one time beer dinner, the two breweries recently collaborated together to brew a beer that is part of the forthcoming mixed twelve pack and beer fest tour, Beer Camp Across America. 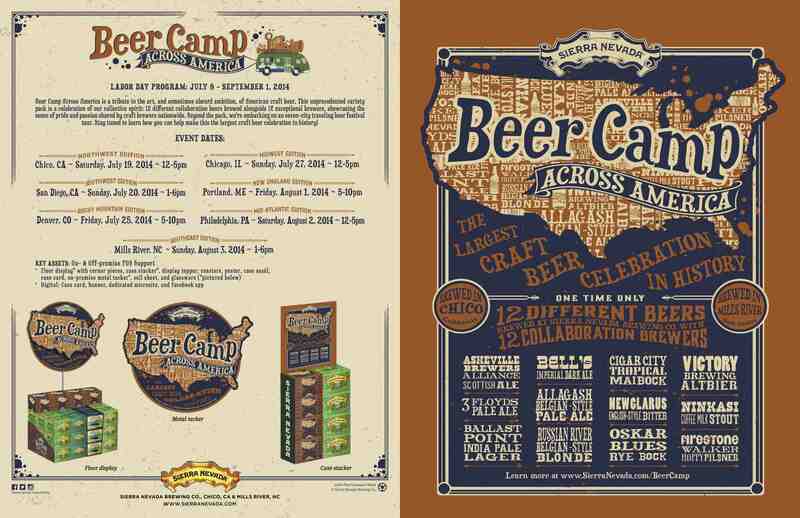 Sierra Nevada will be launching Beer Camp Across America this Summer. Beer Camp Across America is a tribute to the art, and sometimes absurd ambition, of American craft beer. This unprecedented celebration of our collective spirit: 12 different collaboration beers brewed alongside 12 exceptional brewery partners, showcasing the sense of pride and passion shared by craft brewers nationwide. The dozen breweries featured include Ninkasi, Firestone Walker, New Glarus, Ballast Point, 3 Floyd’s, Bells, Allagash, Russian River, Asheville Brewers Alliance, and Russian River in 12oz bottles. Then in 12oz cans will be Oskar Blues and Cigar City. This is going to be one hot selling twelve pack! Portland will be lucky enough to get a sneak peak of all these collaborations at a special Beer Dinner at the Woodsman Tavern featuring Ken Grossman, owner/founder of Sierra Nevada Brewing Co., and Jamie Floyd, owner/founder of Ninkasi Brewing. 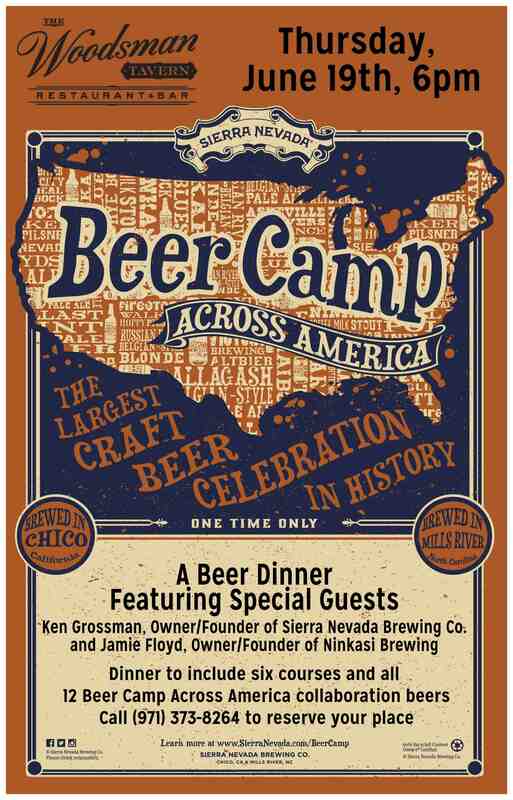 The dinner will include six different courses and all 12 Beer Camp America collaboration beers on draft! The dinner will take place on Thursday, June 19th, beginning at 6:00pm at The Woodsman Tavern. The dinner will cost $120 per person and reservations can be made by calling The Woodsman at (971) 373-8264. It is first come first serve so it is best to make reservations today. Wow, this is sure to be a spectacular evening!